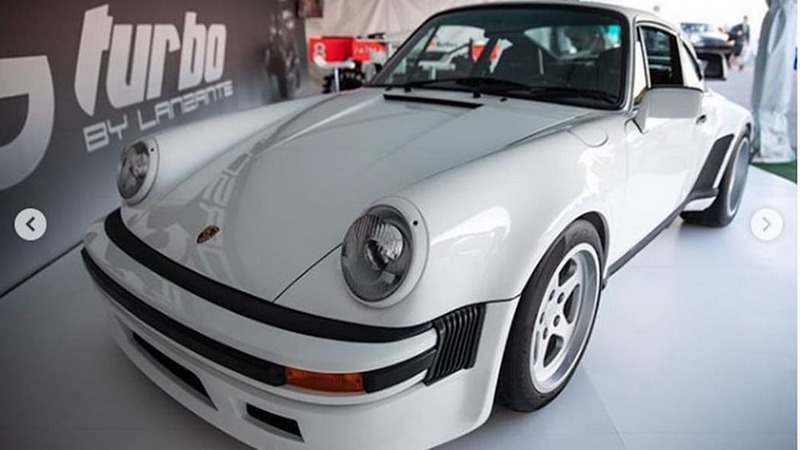 Lanzante Porsche 930 restomods with Formula One-raced engines. Not long after last year's Porsche Rennsport Reunion, we posted on Lanzante Engineering's restomod project with the original Porsche 911 Turbo. McLaren Formula One used TAG-branded Porsche engines for four years in the 1980s to win two constructor's and three driver's championships. 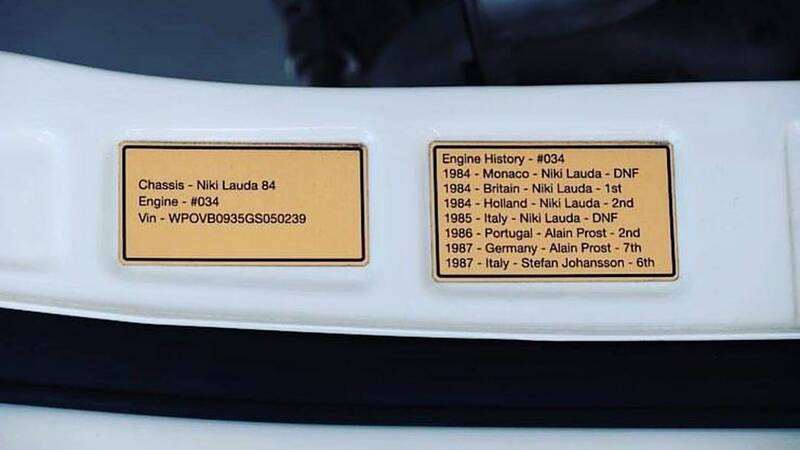 McLaren sold 11 of those engines to Lanzante — nine of which have been raced, one with a win to its credit — and Lanzante is installing them into the original chassis of some 930s. PistonHeads stopped by the shop to find out more. 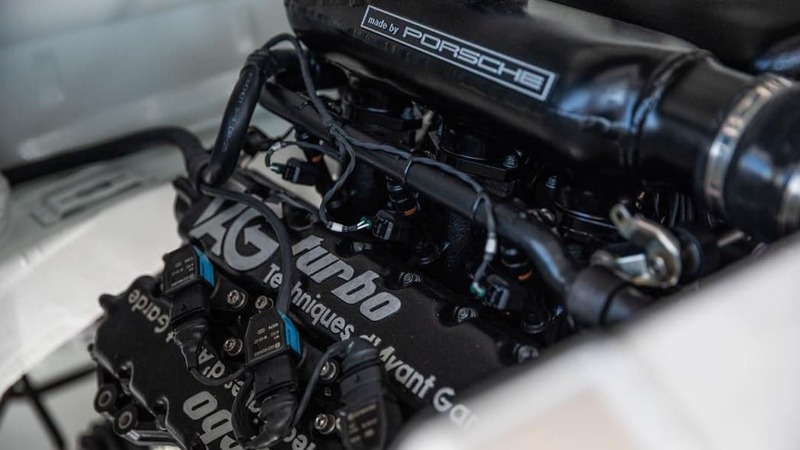 By the end of its service in the MP4/3, the TAG-Porsche TTE P01 motor rang up 1,060 horsepower in qualifying and 960 hp in the race, revving to a 12,600-rpm redline. 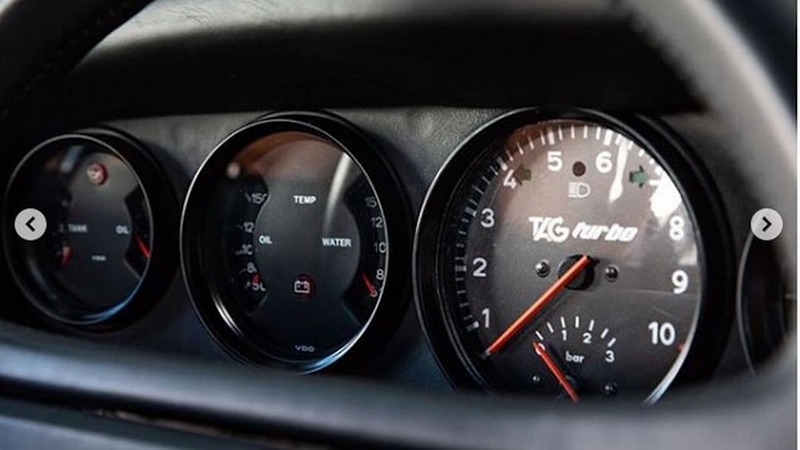 Porsche engine legend Hans Mezger had led the development, coaxing those numbers from just 1.5-liters of V6 aided by two large KKK turbos at a max of four bar. All that was fine for a time when F1 ran with unlimited testing and unlimited parts, but a modern owner doesn't want to pay five techs to live in his garage and keep his car running. Lanzante asked Cosworth to make the engine more drivable and reliable. Cosworth installed a new crankcase, adjusted the air-fuel mixture, and installed smaller turbos for quicker power delivery, decreasing max boost by 25 percent to three bar (43 psi). The redline has come down to 9,000 rpm, for final output figures of 503 hp and 310 pound-feet of torque. According to PistonHeads, power climbs a "steady incline to redline," and more than half the rev band delivers maximum torque. The 503-hp rating doesn't sound like much today, when a Mustang gets more than 700 hp. 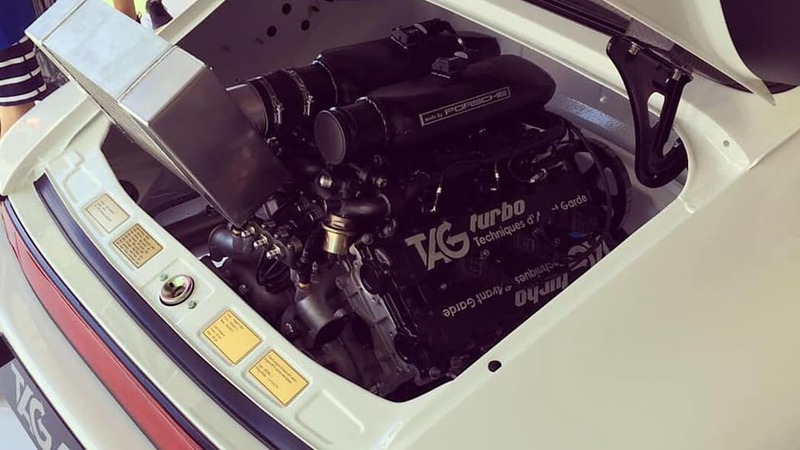 Yet the first 930 Turbos got 296 hp and 243 lb-ft from a 3.0-liter flat-six with one big KKK turbo. The most powerful 930 Flatnose worked up 330 hp and 347 lb-ft from a 3.3-liter flat-six. Lanzante's taken out a ton of weight, though. 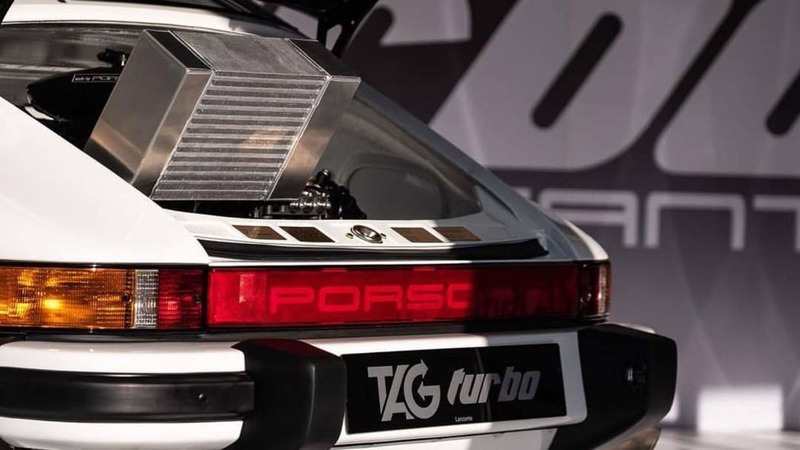 The TAG engine is already 220 pounds lighter than the 930's 3.3-liter; a new carbon fiber hood and engine cover, and aluminum door skins shed more pounds. 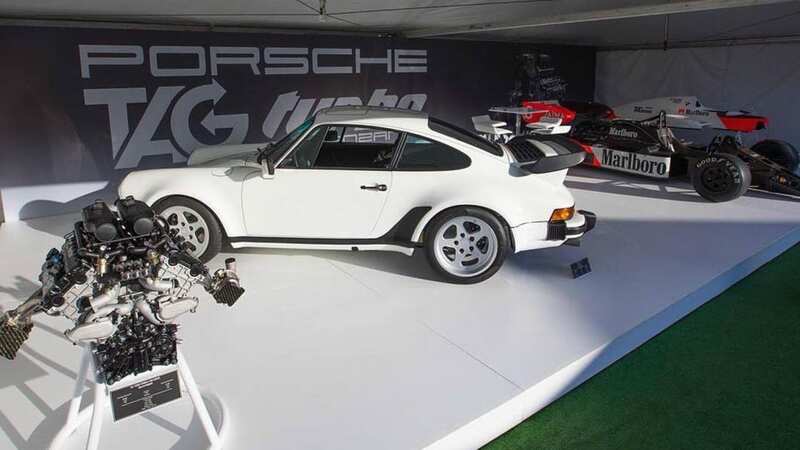 The total package weighs roughly 2,430 pounds, which is more than 500 pounds lighter than the original Porsche Turbo. That includes the extra pieces needed to make an F1 engine power a passenger car. Lanzante had to swap in a 930 Flatnose front bumper, which replaces the fog lights for oil coolers. The team put radiators at the front of the car as part of a brand new water cooling system. The climate control is entirely electric, because F1 cars didn't come with HVAC. Instead of the original five-speed manual, there's a Porsche G50 six-speed manual from the 993 series, and a limited-slip differential. A coilover improves ride quality while delivering 911 sensations. 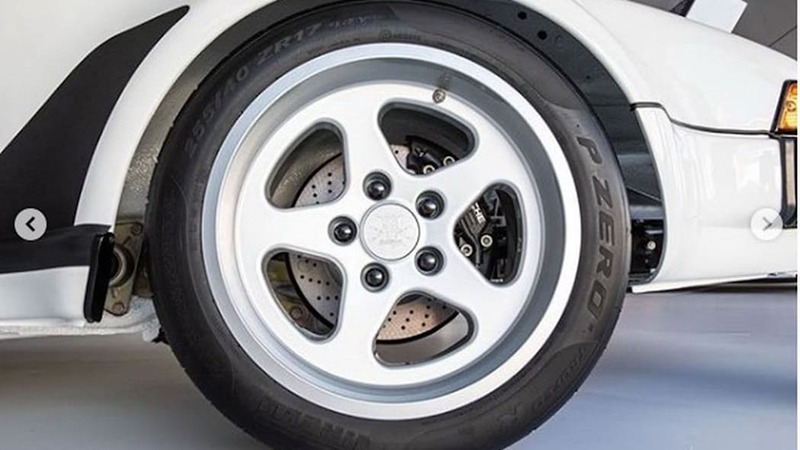 The 17-inch RUF wheels get 225-section Pirelli rubber in front, 255-section in back. Top speed is said to be 200 miles per hour. Unlike almost every high-dollar bespoke car out there, this one won't offer an unlimited customization palette. Lanzante will only kit the car in original Porsche colors and trim available in the 1980s, which means leather and vinyl Recaro Pole Position seats sewn with vintage patterns. The only subtle modern elements inside are the Porsche Classic head unit with navigation, and two USB ports. It will take £1,095,000 ($1.45 million U.S.) to claim one as your own, which includes the donor car and options. Dean Lanzante said he plans choose buyers who will get the car out at events so people can see and appreciate what's been done. "We couldn't get any more engines from McLaren," he said, "so this is it. There will never be another car like it." Here's a clip of Jensen Button going easy on the throttle at Goodwood in one of the original McLarens. We're already looking forward to the finished project.